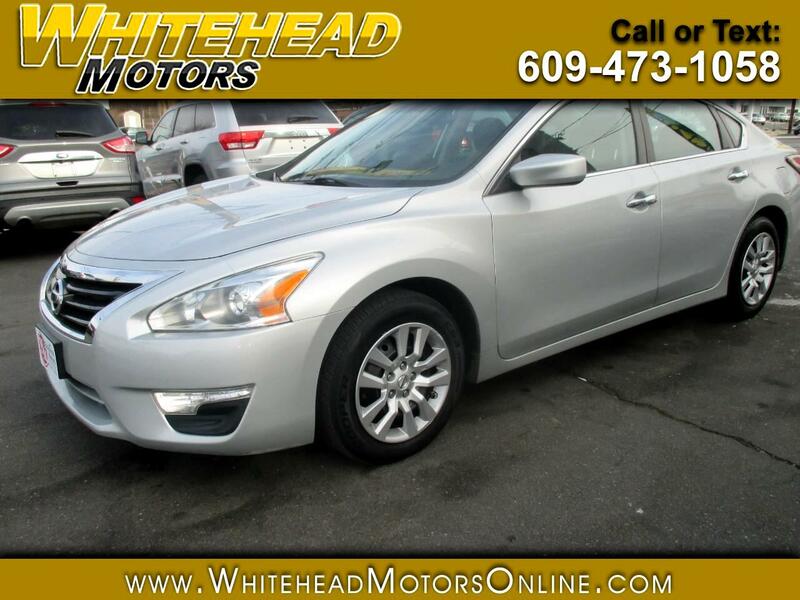 Our 2015 Nissan Altima 2.5 S Sedan is displayed in gorgeous Brilliant Silver and is ready to serve you well! Powered by a 2.5 Liter 4 Cylinder that generates 182hp on demand and is perfectly paired with a seamless CVT for easy passing. You'll love the composed ride of this Front Wheel Drive and attain near 38mpg on the open road as our sedan blends fuel economy, comfort, performance and safety in one stylish package. Charming down to every detail, the sleek profile of our Altima 2.5 S is accented by distinct wheels and convenient automatic headlights. Open the door to the 2.5 S cabin and find everything perfectly in place to help you command the road. Appreciate keyless entry/ignition, full power accessories, an LCD information display in the gauge cluster, and a 6-way power adjustable driver seat. You'll stay in touch thanks to Bluetooth phone and audio connectivity or crank up the sound system with a CD player, available SiriusXM radio, and an auxiliary input jack. Our Nissan Altima has been carefully designed with anti-lock brakes, stability and traction control, front side airbags and side curtain airbags to keep you and your precious cargo safe from harm. Capable and comfortable, our Altima sedan will make a great traveling companion to get behind the wheel and reward yourself today! Print this page and call us Now... We Know You Will Enjoy Your Test Drive Towards Ownership! Get Approved In Minutes at Whitehead Motors. We Make Car Buying Easy.